This mid-rise is a nice property with a variety of floor plans. Rooftop terrace and sundeck, 7 day a week porter, outdoor fireplace and barbeque area with grills, wireless Internet in common areas, resident party room, cappuccino bar. View from Turtle Creek Blvd. ° You deserve it all! Well-designed luxury flat offering a gourmet kitchen with large center island, fireplace and open floor plan fabulous for entertaining. The amazing private balcony reflecting an abundance of natural light overlooking the gardens and pool. Relax in the master with spa-like bath to complete the interior. Community amenities include a coffee lounge, resort style infinity pool, state-of- art fitness center, outdoor fireplaces, club room, and sky terrace viewing the city and Dallas skyline. Just minutes from some of Dallas best restaurants and shopping. ° Additional Info: HOA dues are $424 monthly, 1 covered parking space(s), 1 fireplace(s), Dallas ISD. ° Buyers, this one is the lowest price in the building! Fresh paint, carpet and ready to MOVE IN! No maintenance here so lock and go! The Sorrento is in a prime location close to North Park, Preston Center, restaurants and medical offices. This unit looks out to the pool and entertainment area, granite counters, hardwoods, custom master closet. Perfection in every way! Amenities include club house on same floor, outdoor fireplace, pool and spa, sky terrace, gym and assigned parking. ° Additional Info: HOA dues are $536 monthly, 2 covered parking space(s), 1 fireplace(s), Dallas ISD. ° Who knew? Luxury living in prestigious Northpark area can also be affordable! Treat yourself to the top notch amenities of the Sorrento Condos, including spectacular pool area with fireplace, luxurious clubroom, multiple common area rooms, 24 hour gymnasium with modern equipment, 2 rooftop terraces with great views, and concierge. This unit has a premium location overlooking the pool area, and has all of the luxuries you could wish for: gourmet kitchen, spacious bedroom, see through fireplace, and luxurious master bathroom. This is the best value in the building, so make your appointment today! 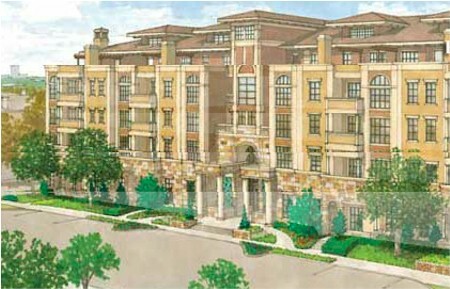 ° Additional Info: HOA dues are $535 monthly, 0 covered parking space(s), 1 fireplace(s), Dallas ISD. ° Come home to this 4th floor interior corner unit with 2 patios overlooking the resort pool. Open concept with double living areas, big office space, and double master bedrooms with on suite bathrooms. There is a guest half bath and two fireplaces on each side. Additional features include electric blinds, built in wine fridge, warming drawer, pre wired for media and sound, custom closets, 3 assigned parking, and a huge storage unit. The Sorrento condo amenities include concierge service, guarded entrance, pool with gazebo, fitness and business rooms, coffee bar, residence lounge and kitchen, exterior stone fireplace, and a rooftop patio with fireplace & skyline view! ° Additional Info: HOA dues are $994 monthly, 3 covered parking space(s), 2 fireplace(s), Dallas ISD. The following units are listed for lease in The Sorrento as of April 20, 2019. ** Note that landlords may have more restrictive limits on pets than indicated above.